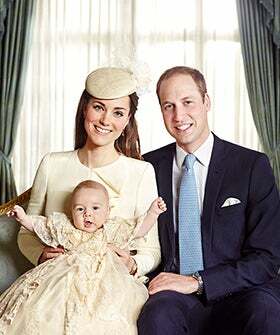 Pseudo-vintage Honiton lace looks good on Prince George. The replica baby-bath outfit, complete with train, had its first high-profile photograph taken by Jason Bell, photographer of the rich and famous, after the royal christening yesterday. Infant's first editorial, anyone?